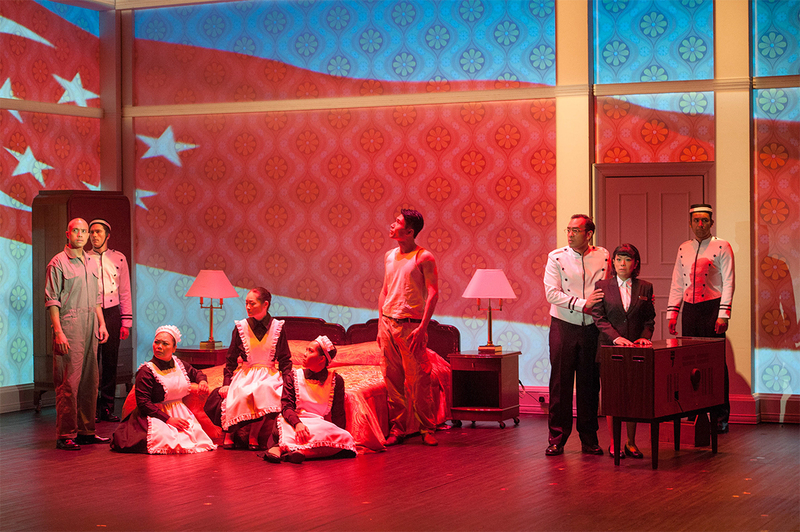 In the 2017 OzAsia Festival two acclaimed theatre productions from Singapore — W!LD RICE’s Hotel and Checkpoint Theatre’s Recalling Mother — probe Singaporean history, identity and family interaction in vastly contrasting ways, one epic, the other intimate. Previously a British colony and then briefly part of the Federation of Malaysia, Singapore became a sovereign nation on 9 August 1965. Chris Reid spoke to members of both ensembles on 10 August, the day after huge National Day of Singapore celebrations. First staged in 2015, Hotel presents Singapore’s history from 1915 to 2015 through the interaction of a succession of groups of people in a room in a hotel not unlike the famous Raffles. Shown in two five-hour parts over successive nights, the play reveals Singapore’s turbulent history, rapid social and political evolution and diverse culture through the eyes of the play’s characters. 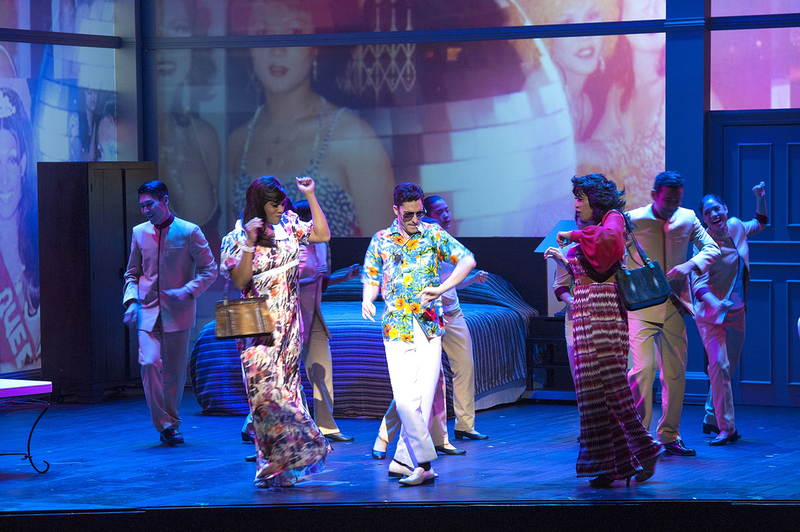 I chatted with co-director Glen Goei and co-playwright Alfian Sa’at about the development of Hotel and its politically and socially charged themes. Glen Goei tells me about the scale of the work: “It has a cast of 14 actors who play over 100 roles in nine languages including Japanese, Cantonese and Malay. There are two writers and two directors. Although an unusually long play, each scene is on average 20 minutes, very bite-size, very palatable, very accessible, like binge-watching… If you commit to the two parts, you will be rewarded because some characters re-emerge, older but wiser.” Set at 10-year intervals, the successive scenes reveal Singapore’s development in the context of world history in a text that is predominantly in English and a production strongly imbued with Western theatrical traditions. Recalling Mother is a highly unusual work for two actors who play themselves and their mothers from a script that, since the 2006 premiere, has been rewritten for each production in 2009, 2015 and 2016. The dialogues between mother and daughter reveal generational differences and the most recent iterations of the play reveal how the daughters have had to take increasing responsibility for their mothers as they reach old age, become dependent and when minds can fade. The play shows how Singaporean social and familial norms have evolved during the nation’s recent history, for example Noorlinah Mohamed’s mother never went to school while Noorlinah herself has completed her PhD. Chris Reid spoke to Glen Goei, Alfian Sa’at, Noorlinah Mohamed and Claire Wong in Singapore courtesy of Culturelink and the Adelaide Festival Centre.